I’ve been dying to make this announcement since last week. Well, better now than never. As many of you know, I’ve been working on getting out Video Rage, the sequel to my science fiction novel Reborn City, out some time this year. I recently finished the final draft, and at last update I said a friend of mine was working on the cover art for VR. Well, today I finally got the art that will be gracing the cover of VR. Even better, I now have a release date! Yes indeed, very exciting. Now before you scroll down and check out the amazing cover art, let me tell you about how it was created. My friend Joleene Naylor (check out her blog here) does covers on occasion, and when she does she does amazing work. After carefully describing what I wanted for the cover, she did a couple of drafts and sent me the mock-ups, adjusting with my feedback. When she gave me the final draft, it was like it was something right out of my imagination. I was so amazed with Joleene’s work, which was compiled using the works of artjazz, welcomia, Maltaguy1, kirstypargeter, and Joleene herself. Pretty sure I’m legally or at least ethically obligated to list all that. So without further ado, here is the cover art of Video Rage! Pretty cool, huh? 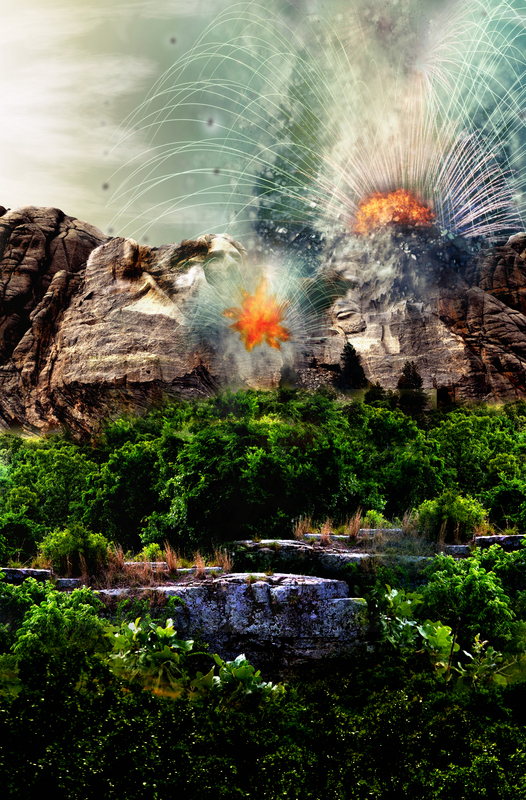 And if you look closely at the image, you might see a familiar American monument. Yeah, that’s what you think it is. And something’s happening to it. What? I will say that it involves events that occur near the climax of the novel. Want to know what exact events? You’ll have to read the book to find out. And speaking of which, I promised a release date for Video Rage, didn’t I? Well, there’s good news on that front. I’ll be releasing VR on June 1st. Yes, in one month and nineteen days, Video Rage will be available from as many platforms as possible, paperback and e-book. I’m sending the manuscript off to the US Copyright office tonight for the extra added protection. Then I’ll finish up getting all my other books onto other platforms, and then I think I’ll do a great big blog tour. I’ve never done one, so it should be interesting. I hope it’ll get people interested in reading Reborn City and Video Rage. 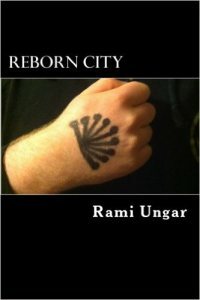 Reborn City, the book prior to Video Rage. Available now. Speaking of which, if you’re interested in reading Reborn City before Video Rage comes out, I’ve lowered the price on the e-books. The paperback costs the same as ever, can’t change that much, but it’s now available on Barnes & Noble as well as Amazon, Nook, and Smashwords. And I plan to add it to iBooks and Kobo as soon as possible, so if you use those platforms I should have some updates on that soon. That’s all for now. I’m going to get to work on making sure the book is ready for June 1st. If there are any updates, I’ll make sure you all know it. Get excited, my Followers of Fear. I know I am.